High-quality Amplifier dust cover for VOX 4 X 12 BK CABINET. High-quality Amplifier dust cover for VOX AC 15 C 1 COMBO. High-quality Amplifier dust cover for VOX AC 15 C 2 COMBO. High-quality Amplifier dust cover for VOX AC 15 CC 1 COMBO. High-quality Amplifier dust cover for VOX AC 15 CC 2 X 10 COMBO. High-quality Amplifier dust cover for VOX AC 15 H 1 TV COMBO. High-quality Amplifier dust cover for VOX AC 15 HTVH AMP. High-quality Amplifier dust cover for VOX AC 15 VR COMBO. 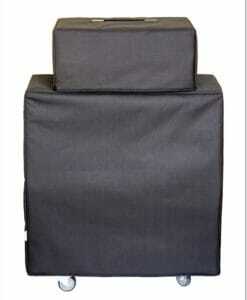 High-quality Amplifier dust cover for VOX AC 30 4 1961 FLAT BACK COMBO. High-quality Amplifier dust cover for VOX AC 30 C 2 COMBO. High-quality Amplifier dust cover for VOX AC 30 C 2 X COMBO. High-quality Amplifier dust cover for VOX AC 30 CC 1 COMBO. High-quality Amplifier dust cover for VOX AC 30 CC 2 X COMBO. High-quality Amplifier dust cover for VOX AC 30 CCH AMP. High-quality Amplifier dust cover for VOX AC 30 HH AMP. High-quality Amplifier dust cover for VOX AC 30 TB COMBO. High-quality Amplifier dust cover for VOX AC 4 TV COMBO. High-quality Amplifier dust cover for VOX AC 50 MK 2 SMALL BOX AMP. High-quality Amplifier dust cover for VOX AC 50 ON TROLLEY CABINET. High-quality Amplifier dust cover for VOX AD 100 VT COMBO. High-quality Amplifier dust cover for VOX AD 120 VT COMBO. High-quality Amplifier dust cover for VOX AD 120 VTH AMP. High-quality Amplifier dust cover for VOX AD 15 VT COMBO. High-quality Amplifier dust cover for VOX AD 212 CABINET. High-quality Amplifier dust cover for VOX AD 30 VT COMBO. High-quality Amplifier dust cover for VOX AD 412 CABINET. High-quality Amplifier dust cover for VOX AD 50 VT COMBO. 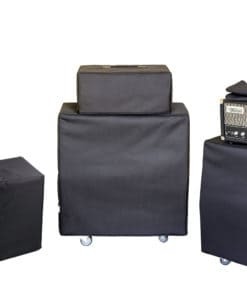 High-quality Amplifier dust cover for VOX AD 60 VT 1 X 12 COMBO. High-quality Amplifier dust cover for VOX AGA 150 COMBO. High-quality Amplifier dust cover for VOX AGA 70 COMBO. High-quality Amplifier dust cover for VOX CAMBRIDGE REVERB 1 X 10 COMBO. High-quality Amplifier dust cover for VOX FOUNDATION BASS 100 W CABINET.